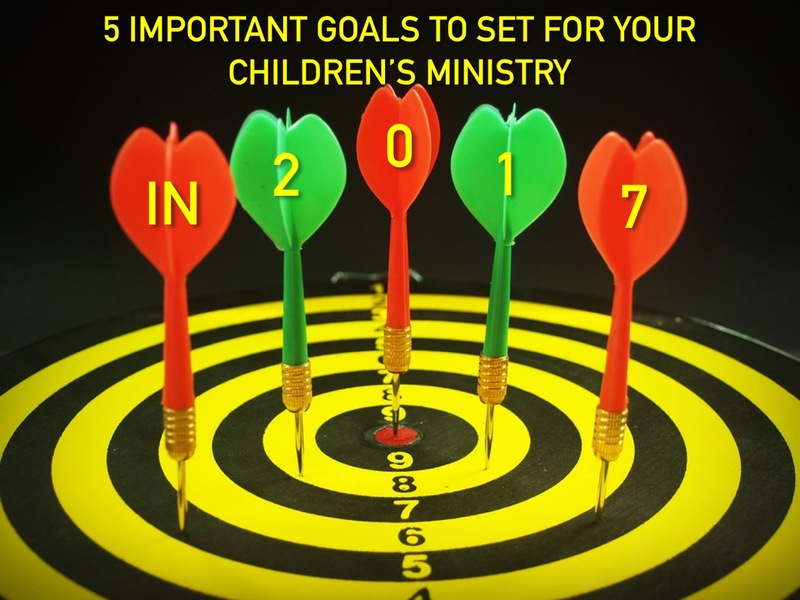 Successful children's ministries set goals each year. When you set goals, it gives you a vision for the year and provides motivation for the team. It also helps you focus and organize your time, resources and energy for what matters. The big question is what will your goals be? Not all goals are created equal. It's vital that you set goals that will help your ministry move forward. Here are 5 important goals that I believe should be on everyone's list. You will have new families visit your church this year. But how many of them are going to return? That should be a big area of focus. The national average is 7% for families returning. That obviously means if you have 100 families visit this year, 7 of them will return. But I believe you can do much better if you are intentional. Here are some ideas that we've used to see as high as 25-30% of families return. If you can raise the percentage of guests that return, your ministry will grow. Set a percentage goal for guest return and work hard to meet it. I can't say it enough. The success of your ministry rises and falls on the strength of the volunteer team you build. Volunteers should be one of your top goals. How many new volunteers are you going to bring on the team? How many volunteers are going to serve each week? What percentage of volunteers are going to attend training? How are you going to care for volunteers? How are you going to lower your turnover rate? Raise the number of volunteers serving and the quality of volunteers serving and your ministry will move forward this year. The primary way you can measure spiritual growth is by measuring how many kids and parents are taking spiritual steps. Start by outlining what spiritual steps you want kids and families to take this year and then track how many take them. Some examples of spiritual steps are kids and parents beginning a relationship with Jesus, kids and parents following Jesus in baptism, kids and parents joining a small group, kids and parents doing provided home devotions and discipleship tools, parents dedicating their baby to Jesus, etc. Studies show that a major factor in seeing kids grow up to love Jesus is to get them involved in serving others. Plan out serving opportunities for kids this year. This can include things like kids greeting, kids helping take the offering, older kids assisting in preschool classes with their parents, family mission trips, service projects, etc. Then keep track of how many kids get involved and serve. Where this is life, there is growth. Set goals for how many kids and families you want to see attend the ministry this year. You can focus this even more by making the attendance goal a percentage increase. Here's an example. If you have 100 kids attending each weekend and you set a goal to grow by 10%, that means by the end of 2017 you will be averaging 110 kids attending each weekend. Yes, there are growth factors that will be out of your control. A church that is located in a fast-growing, heavily populated area is probably going to grow more quickly than a church located in a rural area. But the bottom line is this - all of us are surrounded by kids and families that don't know Jesus. Our priority should be to reach them with the love and message of Jesus Christ this year. Believing with you that 2017 is going to be your ministries' best year ever! Thanks for the message.Kids are the best and effective evangelists in the 21st century. Thanks Paul. Great to hear from you.